If you have not yet tried the ATOM slide for the Glock pistol and you are running an RDS of some kind, you are sorely missing out. I really like this Gen3 Glock 17 ATOM slide with an Aimpoint T1 2MOA . 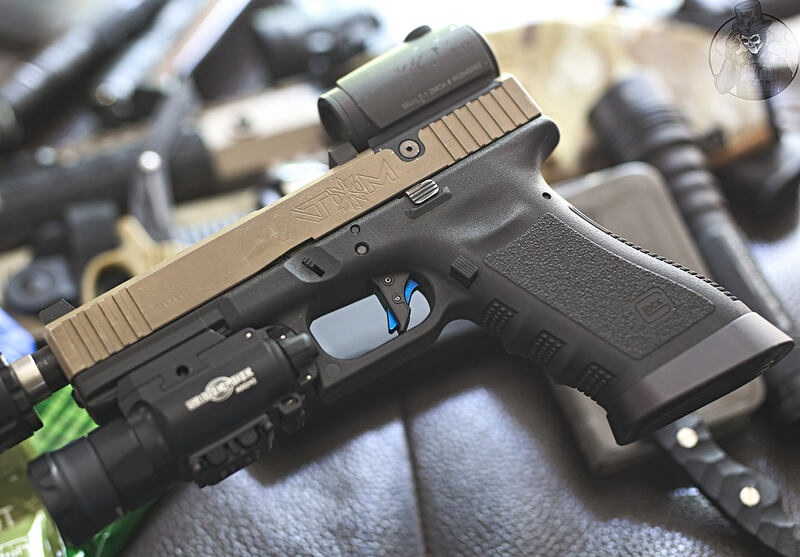 This particular Glock has an Overwatch Pecision DAT TBL trigger, a Raven Freya, a Surefire XH35 and that's a Gemtech GM9 attached to a Gemtech Match Glock 17 Barrel.